David Friedman is a member of Tech Coast Angels, Orange County Chapter, and serves on the software/hardware evaluation committee. David is a tech-savvy marketing and operations executive with expertise in bringing to market new technology. 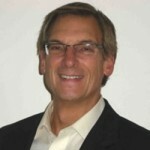 He is a co-founder of C-Level Partners, and has held executive roles at ATX Group, Connexion by Boeing, U.S. Cellular, Covia Technologies, Ameritech Services and RCA. Entrepreneurs. Love ’em. They have the passion and the vision to succeed and because of them the US leads all countries in growth… at least I believe that. 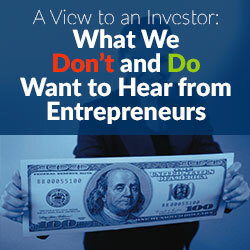 Entrepreneurs, especially those just starting out, have an impression – or mis-impression – of the investor. Because of the hit show “Shark Tank” many people believe that investors, particularly angel investors, sit around and make instant decisions and throw money at companies. That is theater and entertainment. Let’s not minimize the fact that the “sharks” DO invest and many companies in which they invest become successful. Off-screen, investing in early stage companies isn’t often instant. Venture investors do a lot of due diligence individually and collectively within their groups, and discuss companies with other investors before they fund a company or idea. In pitches and in the due diligence, there are statements and comments and replies to questions that investors don’t want to hear. These are based on listening to hundreds of pitches and conversations each year and seeing the visceral reactions of investors. Here are some top phrases that will make even the most intrepid angel investor cringe – and why. We are going to be the next Google and have a market cap of over $100B in only 2 years. Why? Investors have a healthy dose of skepticism. Most startups fail and money is lost. Vision is great but execution is key. There are just not that many companies that have been uniquely successful. The main point is: prove it. Our valuation today is $100M because we have a solid concept, a breadboard design, a nice website, and a raft of early users. Why? Investors invest their hard earned money in these risky entrepreneurial ventures. The probability is relatively small for a big e.g. 10X winner. We want to see what comparable companies had been valued at before we agree to high valuations. Also depending on the valuation and the stage of the company, certain investors groups are more likely candidates to pitch. Our product is unique and we are alone in this space. Why? There are always other options to solve a problem. We want the entrepreneur to consider everything and be somewhat paranoid. Thank you Andy Grove! Yet, the entrepreneur’s idea might be the next UBER or SNAPCHAT and we don’t want to miss that opportunity. We are all ears. We have IP and no one can copy that. Why? IP might be important and we will consider that during due diligence but execution is the key to success. Nothing is to be taken for granted. Further, this assertion might be true but if you tread on the grounds of a giant company do you really want to pursue IP litigation over the next 7 years at a 7 figure cost? We have a lot of downloads and freemium users. Why? That is a great start but can you tell us about your conversion plans to paid users? Excitement over a new app or product is understandable and we want to see that excitement sustained over a period of time. The entrepreneur needs to help the angel investor/VC understand that. Why? There is always competition or alternatives to your solution. Paper is still a solution to a beautiful yet complicated software scheduling system. In the early implementation of Wi-Fi on airplanes there was no competition per se except people liked to eat and sleep on planes. That was the competition, not for the service but for the time! The issue is how the entrepreneur will market the differences to get people to use their product or service vs. another option. Trust me; we know what we are doing and we have had successful exits in the past. Why? Certainly an entrepreneur with a track record has built up trust in the investor community. Past accomplishments are a decent but not perfect predictor of success in the future. Would we invest if Steve Jobs or Walter O’Brien comes to me with an idea? Perhaps and they certainly would have an edge over first time entrepreneurs. Yet most investors, especially angels, are much attached to their Benjamins. Trust is earned over time by execution to plan. Several entrepreneurs have asked me “what do the investors want to hear during a pitch.” On Shark Tank the investors seem to ask the same questions and want to hear answers particularly relating to current revenue and revenue growth. The investor generally wants to hear answers to the following four questions and balance that with the trustworthiness and character of the CEO and his/her team. Can you (and how do you) make the product/service? Can you support the product today and is it extensible in the future? Angels and VCs want to feel comfortable in both the business plan and the CEO and the team who are to deliver the results. Every start-up and entrepreneur is different. In the early stages of a market, the team and the ability to execute is more important than the product per se in terms of sustainability of the business. Early on, management–the CEO, his/her team and advisors–should have a clear view on the product, the vision for the product and business, and a plan they can execute. Vision is critical but execution and keeping commitments are critical especially for successive rounds. In general, investors want to have clarity on what the ideal customer looks like. For proof of concept and a touch to reality, investors would like to see functionality, a 3D model if applicable, a capabilities comparison, market research to the extent practicable, feedback from current users or input from lead users suggesting that the product or service makes sense and they would be interested in buying. And let’s not forget that the investor wants a return on investment so a financial forecast with EBITDA is required. While we recognize that some companies might pivot, investors are trying to understand the assumptions upon which the financial model was built and the thinking process of the CEO and team. We all appreciate the passion of the entrepreneur. Vision, persistence, a can-do attitude, and emotional resilience are critical for success. Yet entrepreneurs must recognize that they are competing for dollars with other entrepreneurs and other defined investments. An entrepreneur should be prepared to provide pitches, answers to the investors’ questions, and responses without those comments and hyperbole that make us run for the exits–and by that, I mean doors.